Northumberland County Council is expecting a healthy £2.4million surplus on council tax this year, but an even larger deficit on business rates. A report to Tuesday’s (November 13) meeting of the authority’s cabinet explained that the overall estimated surplus for council tax for the year ending March 31, 2019, is £2.41million, of which the council’s share is £2.26million. 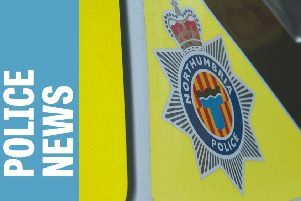 The remaining £150,000 goes to Northumbria Police. But in terms of business rates, the overall estimated deficit is £2.69million, of which the council is responsible for £1.34million with the other half having to be picked up by the Government. Coun Nick Oliver, the cabinet member for corporate services, explained that the council-tax surplus is down to a growing tax base, ie more houses, and the council’s high rate of collection. In terms of business rates, the shortfall is largely due to money set aside to meet rating appeals, where businesses challenge what they are being charged and can be eligible for a rebate dating back to the valuation list changes. There are currently appeals dating back to the 2010 list and the county council has seen multimillion-pound bills in recent years, for example, for the Alcan site and for the police headquarters at Ponteland.